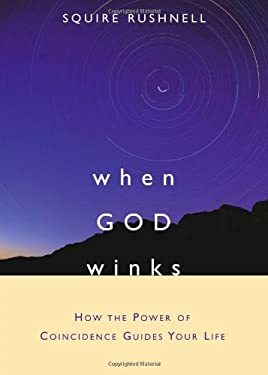 It is not by accident that you just picked up "When God Winks." Whether you call it synchronicity or coincidence, what brought you to this book today is worth remembering. In fact, you may have suspected all along that there is more to coincidence than meets the eye. These seemingly random events are actually signposts that can help you successfully navigate your career, relationships, and interests. SQuire Rushnell shows us that by recognizing our "God Winks," we can use the untapped power of coincidence to vastly improve our lives. The author applies his compelling theory as to why coincidences exist to fascinating stories in history, sports, medicine, and relationships involving both everyday and famous people including Barbra Streisand, Charles Schulz, Oprah Winfrey, Kevin Costner, Mark Twain, and Presidents John Adams and Thomas Jefferson.